The team is hard at work on making NWN:EE better. 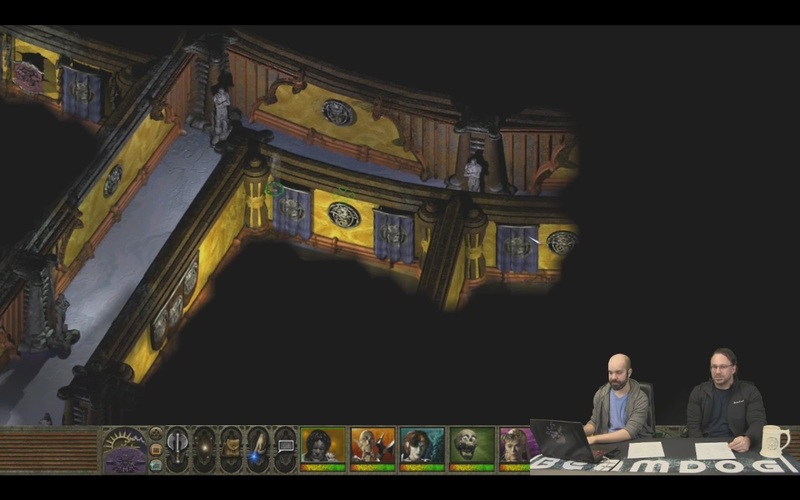 Beamdog CEO Trent Oster and Studio Director Phillip Daigle shared the latest Neverwinter Nights: Enhanced Edition and Infinity Engine news. 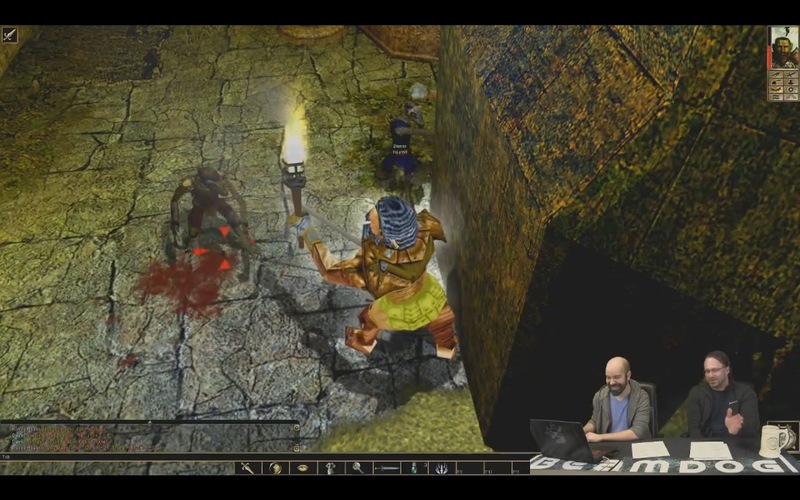 Phil played Planescape: Torment: Enhanced Edition and NWN:EE, while Trent shared stories from the industry. One year ago we launched Planescape: Torment: Enhanced Edition. Watch this livestream video with Chris Avellone playing the game and sharing insights about its development. We’re actively hiring! If you’re a technical artist wanting to working on classic D&D titles, we want to talk to you! We are also interested in C++ programmers and more! Check out the Beamdog career page! Development build 8167 went out for Neverwinter Nights: Enhanced Edition last week testing a fix for the Multiplayer 2x UI and an increase to the maximum number of characters that can be used in player names. The team are busy on the next patch for NWN:EE. We’re putting a lot of work into fixing the Intel Integrated CPU-related crashes and other issues on Neverwinter Nights: Enhanced Edition. We are updating our SDL to better support forward compatibility. We believe this may fix issues with using full screen in Neverwinter Nights: Enhanced Edition on Linux and Mac. The Neverwinter Nights Toolset has a new compiler. Soon we’ll be able to show what it looks like. Custom classes and spellbooks is one of the things we want to open up in Neverwinter Nights: Enhanced Edition. Working with the NWN Extender, we’ll make it possible. Cutters, have you played Planescape: Torment: Enhanced Edition yet? We pushed a new beta build for Baldur’s Gate: Enhanced Edition last week. Check out the full patch notes here. The full 2.5 patches (for BG:EE, BGII:EE and IWD:EE) are still on course. We plan to start shipping them out this month. One of the reasons these updates have taken so long is the amount of features and fixes they include, which has kept growing based on players’ feedback. Going forward, stability, compatibility and not breaking stuff will be the main principles for Infinity Engine Enhanced Editions post-2.5 update. Pathfinding, dynamic scaling, and other improvements for NWN:EE are at works. We’re looking into how we can enable dynamic scaling for UI in Neverwinter Nights: Enhanced Edition. Trent said he would personally dig into releasing design documents on Neverwinter Nights for all players and modders. There’s “a monster” behind the current 16k resource limitation for no-hak servers in NWN:EE. We will look into it to see how it can be improved. Working on sound issues during the NWN:EE development is a nightmare. It will take a while to fix them fully, but we intend to do so. We’re slowly stepping through updating Neverwinter Nights: Enhanced Edition to 64-bit. 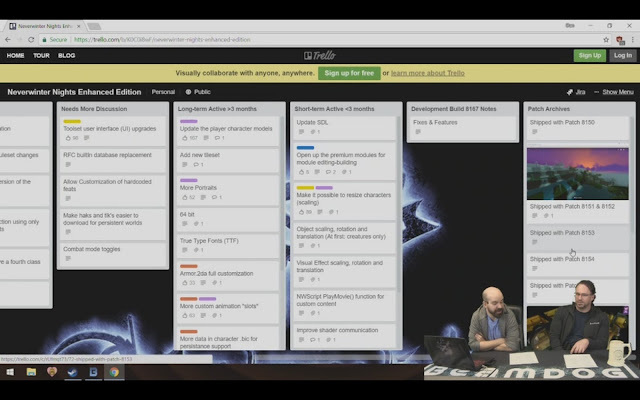 We’re also looking at how it can help to realize a few of community requests. Inventory access for henchmen in the Original Campaign of Neverwinter Nights: Enhanced Edition is something we want to enable. We’ll work closely with our designers on the way there. Let us know your thoughts on skills, feats, mechanics and prestige classes you want to see in Neverwinter Nights: Enhanced Edition. Get involved in the community, we’re paying close attention! With the mention of wanting to unlock the ability to access henchmen inventory in NWN's main campaign, I am curious if there are plans in place that might allow module designers the ability to create a module where a player can create 6 party members/henchmen similar to the Infinity Engine titles? Such a thing would be pretty useful, even if the other 5 characters wouldn't be playable, necessarily. NWN doesn't have this feature? It really must be focused on co-operative multi-player. I would definitely love to see this feature added! We should definitely get it on the Trello boards! Thank you so much for the suggestion!